Buck Cobb Vineyard on a cold, sunny day at the end of winter (pre-pruning). It only seemed fitting to acquire a new estate in the Motherland of Zinfandel: Gold Rush Country. Amador County was the landing spot for the aspiring miners during the Gold Rush in 1800s. Nowadays, we harvest a different kind of "gold" from these hills - the sweet juice from the vines miners brought with them and planted. 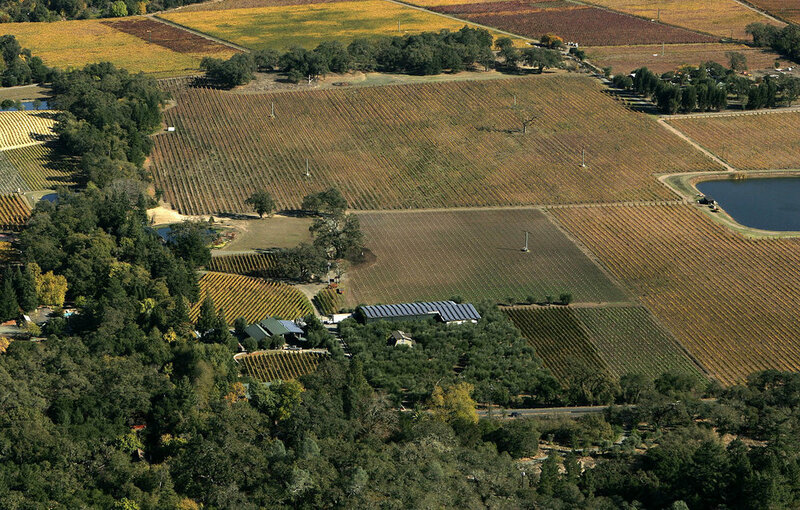 Planted at 1,500 feet on the volcanic, granitic hillside near our new property in Amador, the Cobb Vineyard Zinfandel is an homage to Buck Cobb, owner of the vineyard and from whom we purchased the Karly property. The rocky conditions and more extreme weather (including snow!) in this dry-farmed vineyard make for a hearty, robust Zinfandel. Head-trained and organically farmed, the Buck Cobb vines are slowly maturing into our "old vine" classification of 50 years or older. 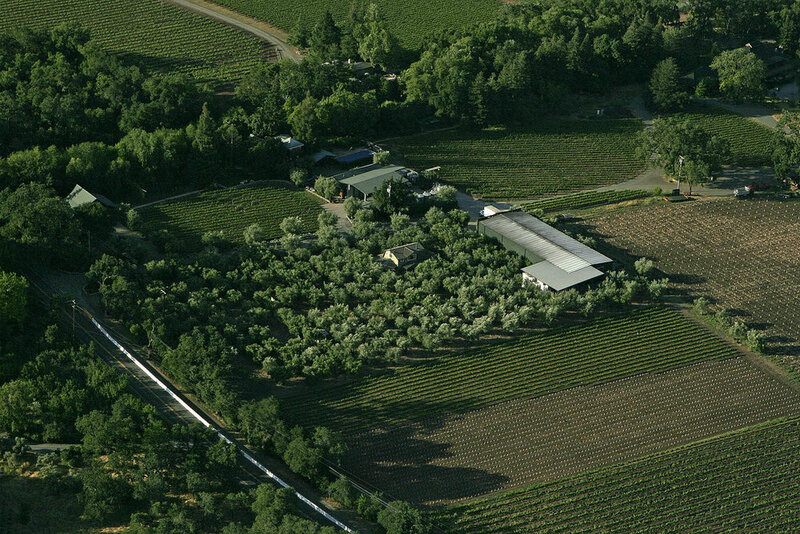 This most recent iteration of the ‘Buck’ Cobb vineyard is a beautiful example of how well an Amador vineyard can evolve with the right farming techniques, attention, and care. The nose is richly enticing, with notes of dark fruits, cola, and a soft, savory smokiness as well. The palate shows some extra oomph, thanks to the structured fine-grained granitic tannins and a pleasant weightiness. We recommend decanting. Separate from the winery, our Amador Tasting Room sits along Shenandoah Valley Road just outside of the town of Plymouth. Open daily 10-5. Classic Amador County shines through the glass in the Cobb Vineyard Zinfandel. As mentioned in the wine notes above, the dark fruits, cola, and savory smokiness seem to impart a craving for BBQ, yet the granitic tannins emulate finesse.